Product information "Silvered Leaf Deco Plate"
Contemporary Silvered Leaf Deco Plate. Add some flair to your sideboard or coffeetable with this modern shaped plate. 36 x 11 cm - available in three designs. 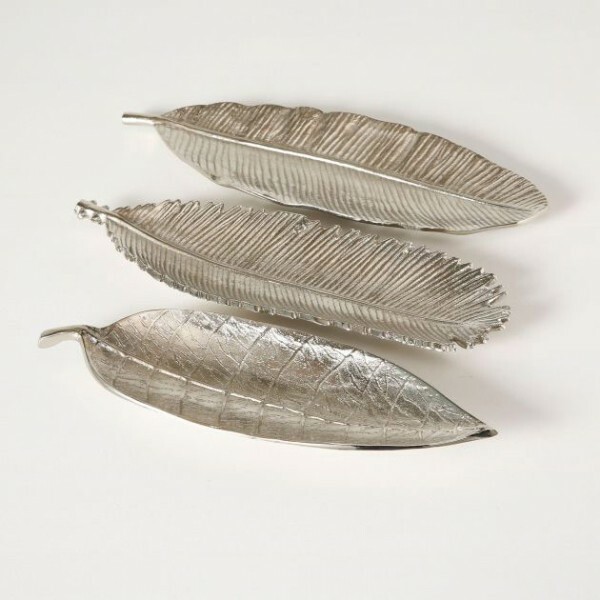 Related links to "Silvered Leaf Deco Plate"
Customer feedback for "Silvered Leaf Deco Plate"